A stunning pair of earrings that are perfect as a gift! 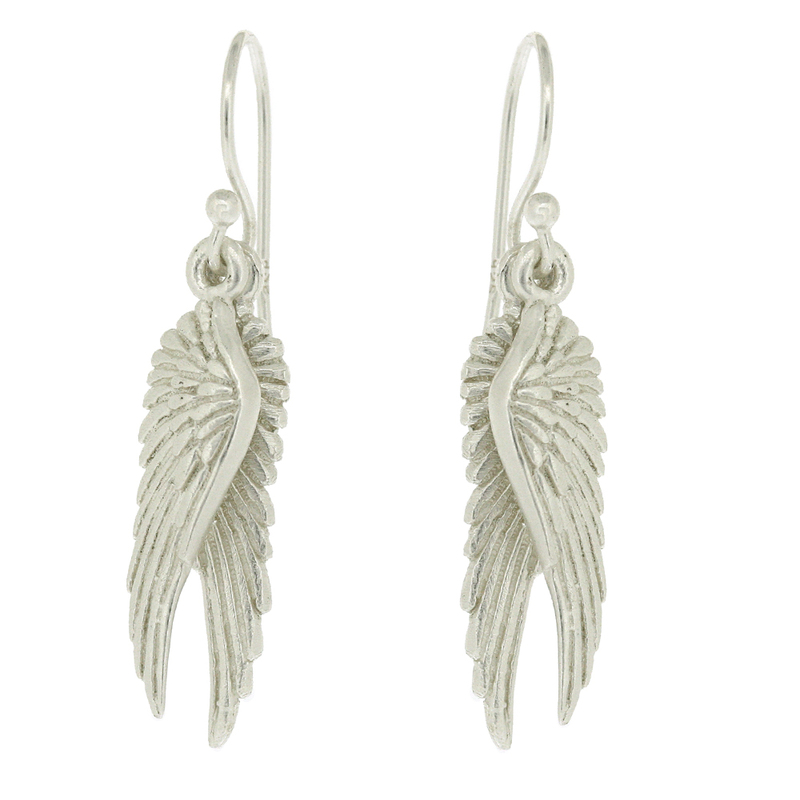 Featuring two wings on each earring in a textured matte finish, giving them an angelic look. Each wing measures width 6mm, height including shepherd hook 35mm, depth 2mm. All measurement are approximate and measured at widest/ longest point. Our Earrings are crafted in Sterling Silver.